Coral reefs around the world are already in danger thanks to climate changes, including coral bleaching in the Great Barrier Reef in Australia, and other places around the world. Now, a mysterious coral destroying disease threatens to destroy Florida’s coral reef, which is one of the greatest tourist attractions in the state. Scientists are starting to get worried about the 360-mile-long coral reef on the East coast. It is also known as the third largest coral reef in the world. According to scientists, the first time the mysterious coral destroying disease came in contact with the reef was about four years ago. The consequences of the disease can be fatal to the coral reef, especially for brain and star coral, which make up about half of the coral in the area. Scientists believe that the coral are attacked by a bacterial disease, although they aren’t certain. What they know is that the disease results in necrosis of the coral tissue. Last August, the Florida Fish and Wildlife Conservation Commission published a YouTube video that shows the Hen and Chicken Reef in the Florida Keys National Marine Sanctuary. As the video shows, the coral was greatly damaged by disease and turned white and died. Scientists aren’t yet certain about what’s causing the disease, although the ocean currents vastly impact the problem and transfer the disease. In that way, it moved the disease toward the north of Florida, while now the currents are moving it south. 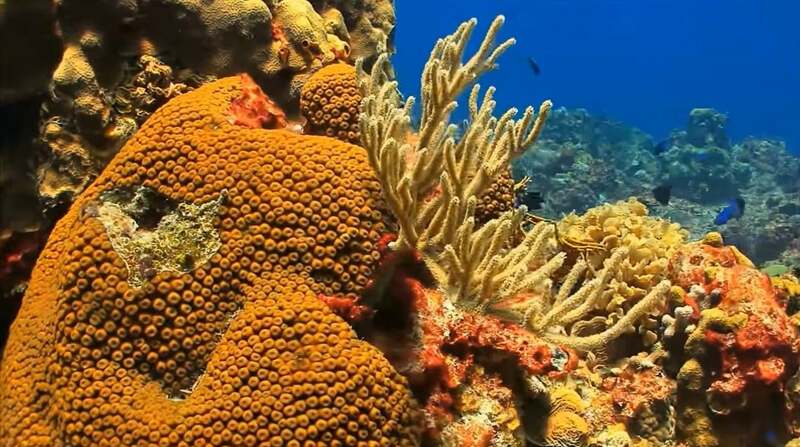 Coral bleaching has also affected the coral to become weaker, as warmer waters as a result of climate change make coral expel algae that live in their tissues, which makes the coral turn white. While most coral can survive this process, they become exposed to stress which makes them prone to other diseases. The four years that have passed has brought death to many corals, which means that there are fewer species which could increase the population. Nevertheless, scientists won’t sit back and do nothing while the mysterious coral destroying disease is a threat. They are analyzing DNA samples to find out the cause and its origin. In case the disease is bacterial, an antibiotic could help reduce and stop it. The team is also looking at antiseptics that could help to stop spreading the disease. Some researchers are also growing coral in labs outside of the ocean. When they have grown up healthy, they will put them back into the reefs.